The Izu Islands sit on top of an active volcano chain that erupted six times in the last century. While it is relatively safe to travel to the islands, one particular island has a weird law meant to protect residents and visitors. Known as Miyake-Jima Island, residents have to have a gas mask with them all the time. 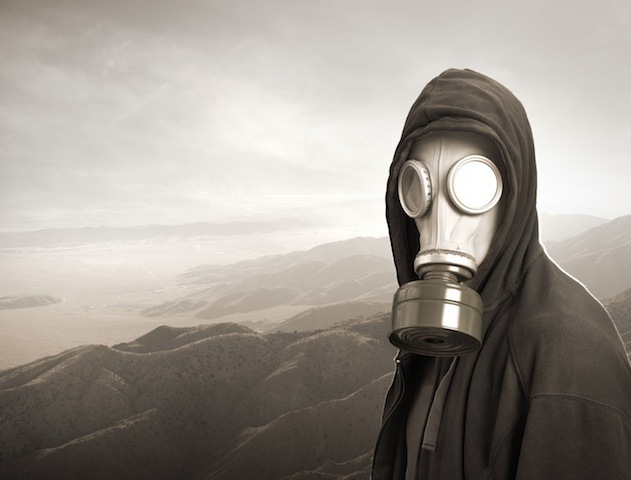 They are not required to wear the gas masks, but they should be ready to wear it at any time. Failure to do so could lead to health risks. The island is one hour away from Tokyo and residents are required to have a mask because of the high levels of sulfur dioxide in the air. Mount Oyama is one of the active volcanoes in Japan. In 1940, its eruption had a death toll of 11 people. Eruptions were also recorded in 1962 and 1983. Its most recent eruption in 2000 released around 40,000 tons of poisonous gas on the island per day. Residents evacuated the island and it was only in 2005 that the island was deemed safe. At present, there are more than 2,000 residents on the island and they live normally except they bring gas masks everywhere. Izu Islands welcome visitors, although there are some areas of the island that are off-limits to residents and visitors alike. Visitors are advised to bring a gas mask or buy one once they arrive on the island. It is also recommended to have a respiratory health check before visiting the island. Tourists from all over the globe visit the island to experience how to live on the deadliest island in Japan. Visitors can visit the safe areas around the island, as well as enjoy hot springs. However, they should not forget to bring their gas masks with them.